You may be familiar with the bright blue and yellow food truck, Yumbii, that pioneered Atlanta’s food truck movement. 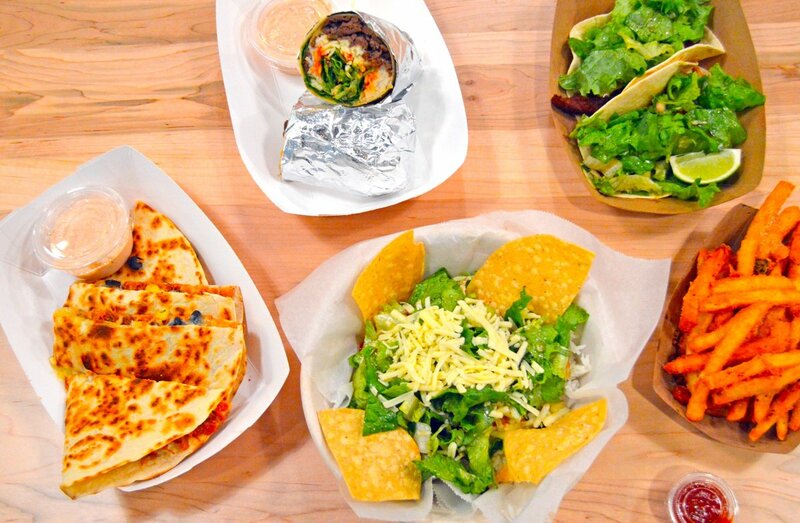 Now, this first and favorite food truck adds service beyond the streets with its first brick-and-mortar restaurant that opened in this past December. 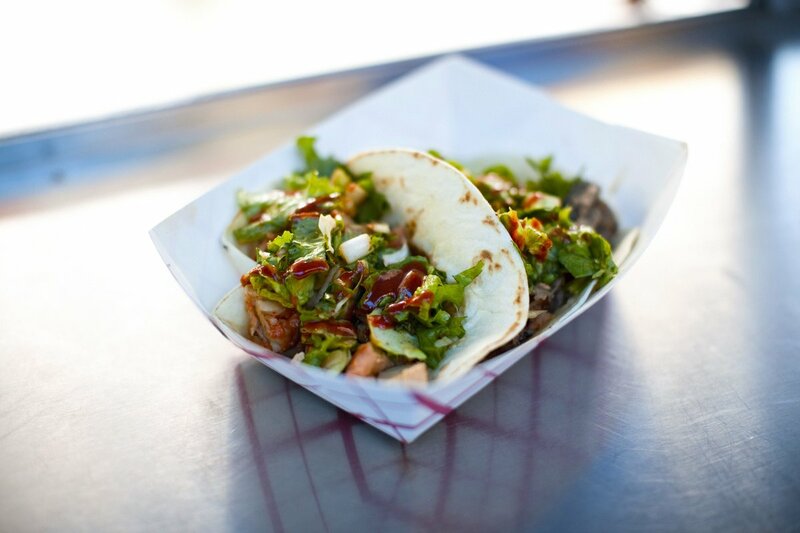 Yumbii’s founder, Carson Young, has finally bridged the gap that is so often a hassle in the food truck culture. 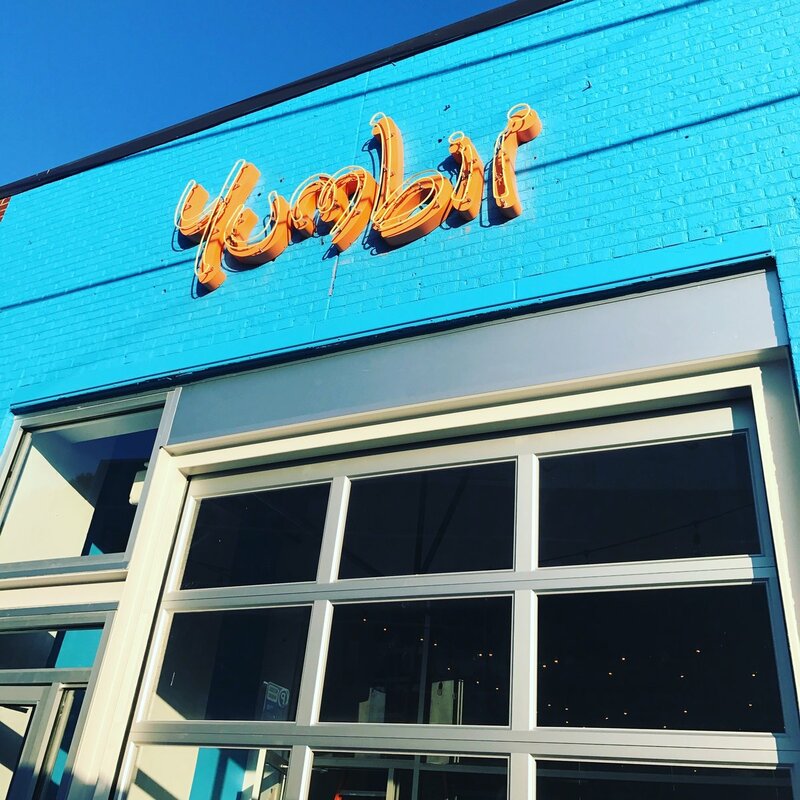 “The best part about having a brick-and-mortar store is that now our customers can find us anytime, all day long!” Yumbii’s permanent parking space is on Peachtree Street in South Buckhead. Korean BBQ chicken and panko-crusted tilapia add a crispy crunch to the soft tacos. 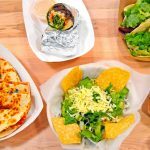 For burritos, the restaurant’s version is a bigger portion than the food truck and is stuffed with rice in addition to its traditional accompaniments. Add Asian rib-eye beef for a sweet and umami flavor. When deciding on what to pair with your quesadilla, go for the spicy pulled pork, which blends harmoniously with the melted cheese. 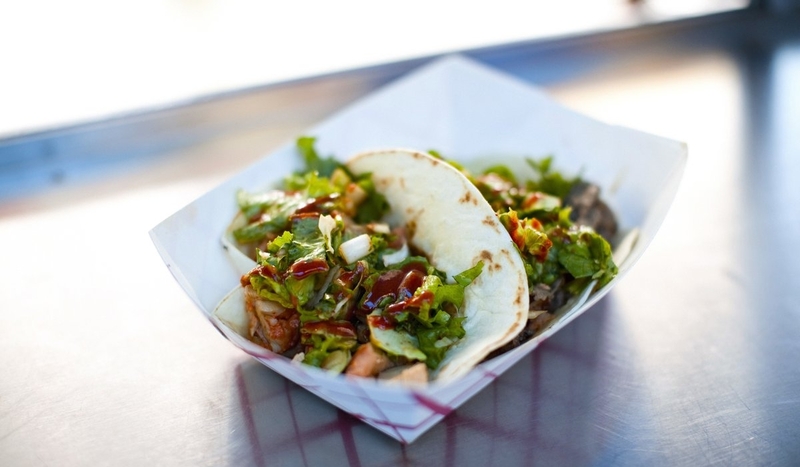 While the food truck has lunch and dinner covered, the restaurant offers another added appeal. Coming in spring, Young is excited to introduce brunch, so add another spot to your weekend list and check out their inventive breakfast tacos. 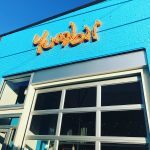 The larger kitchen and addition of an alcohol license and bar allow the Yumbii crew to get creative with these new offerings. Now finally the true pairings with tacos- beer, wine and margaritas – can be enjoyed by visitors. The 1440-square-foot restaurant is well-lit and colorful with homages to the food truck throughout the space. As the restaurant settles in, you’ll soon find the white walls adorned with colorful photos that chronicle the history of Yumbii’s growth in Atlanta. 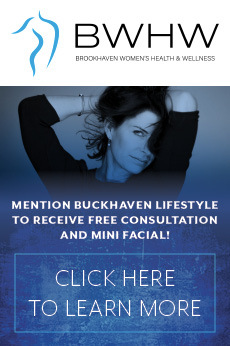 The location across from Piedmont Hospital is perfect for the lunch crowd that want fast counter service. Dine-in at the limited tables indoors, and come warm weather, be sure to snag a seat on the patio and sip margaritas while overlooking the bustle of Peachtree Street. 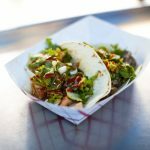 Since the food truck’s start in 2010, it has been awarded “Best Food Truck” by Atlanta Magazine, Creative Loafing and The Atlanta Journal Constitution, and the stand-alone restaurant aims to warrant the same accolades. “We’re thrilled to have a permanent space where our guests can eat, drink and stay – rain or shine,” says Carson.